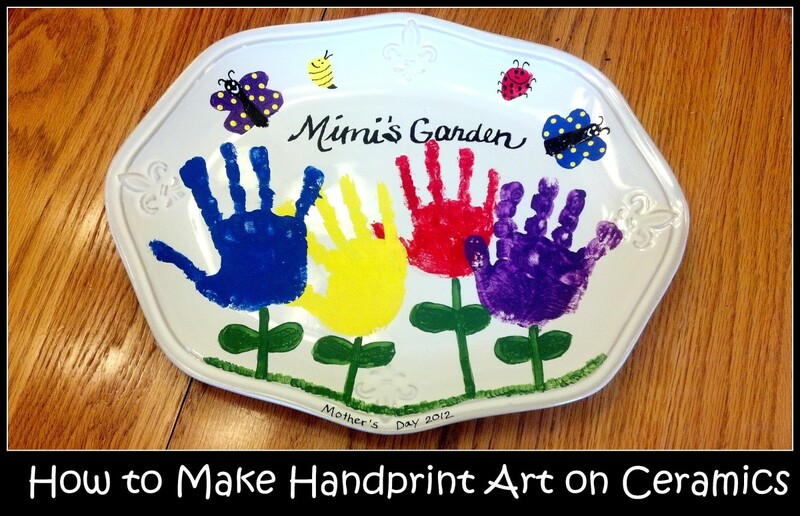 Because my kids have always enjoyed painting, I am continously trying to find new and exciting ways to keep their interest in creating beautiful pieces of art. 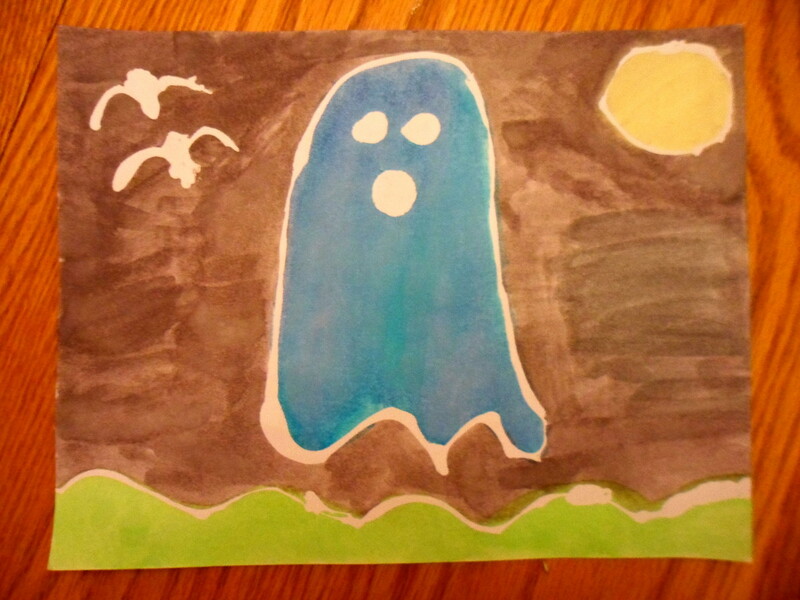 Our most recent painting project included using watercolor paint over rubber cement designs on cardstock paper. After their masterpieces were finished, my kids were delighted to find that the original designs created with the rubber cement adhesive were all still intact after it was scraped away from the paintings. 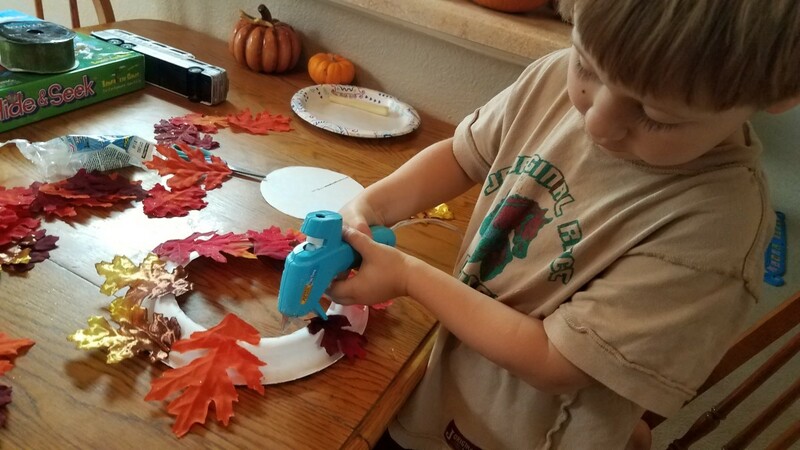 To learn more about rubber cement and how we created this art project, read further for a definition, a list of needed supplies, and step-by-step directions for making beautiful pieces of rubber cement art. Rubber cement is a thick liquid adhesive made from latex polymers mixed with heptane or other such solvent. 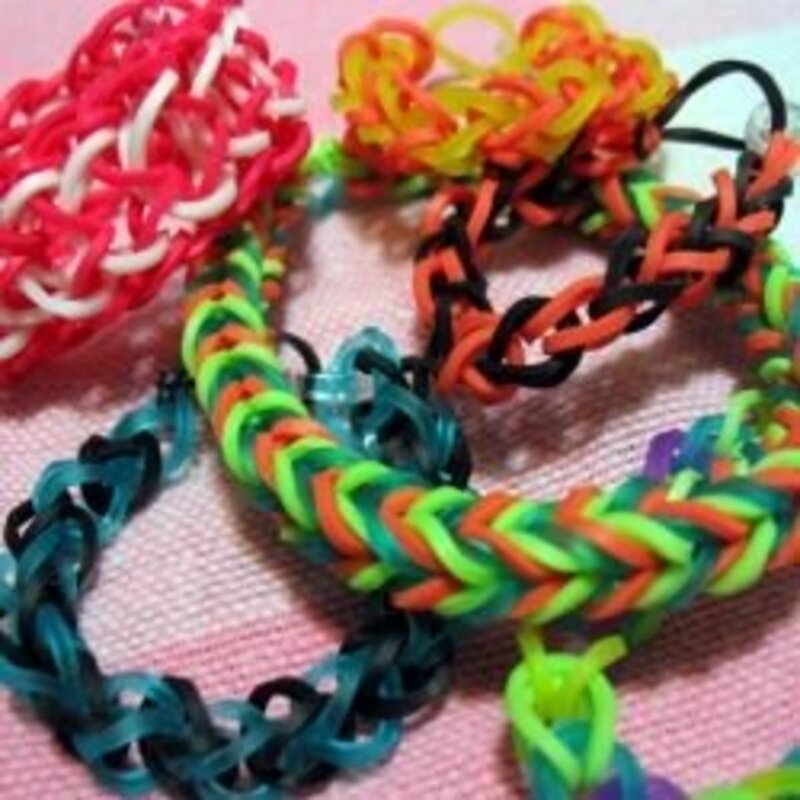 It is often used in the crafting world due to its amazing ability of creating both a temporary and permanent bond between objects. Another benefit of this special glue is that it will not wrinkle paper making it the ideal adhesive to use in various photo, card making, and art mounting projects. Rubber cement used in project. Avoid inhaling vapors - Use in a well ventilated area and keep lid on bottle when not in use. Extremely flammable - Store in cool place and keep away from heat or open flame. Poisonous - This product is harmful of fatal if swallowed. Flush eyes immediately with water. Allergic reaction - Do not use this adhesive if you have a latex (rubber) allergy. Adult supervision - Only allow children to use under close adult supervision. 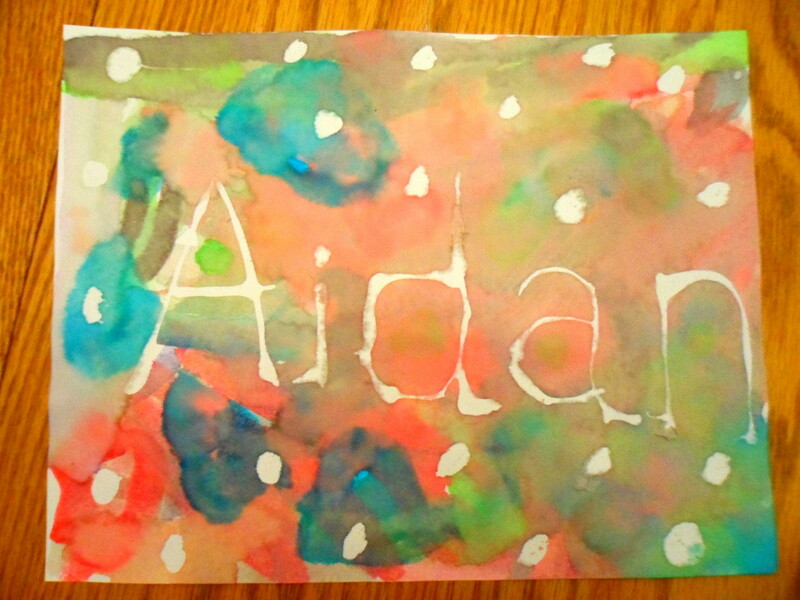 For this art project, I created several different designs with the rubber cement for my kids to paint. 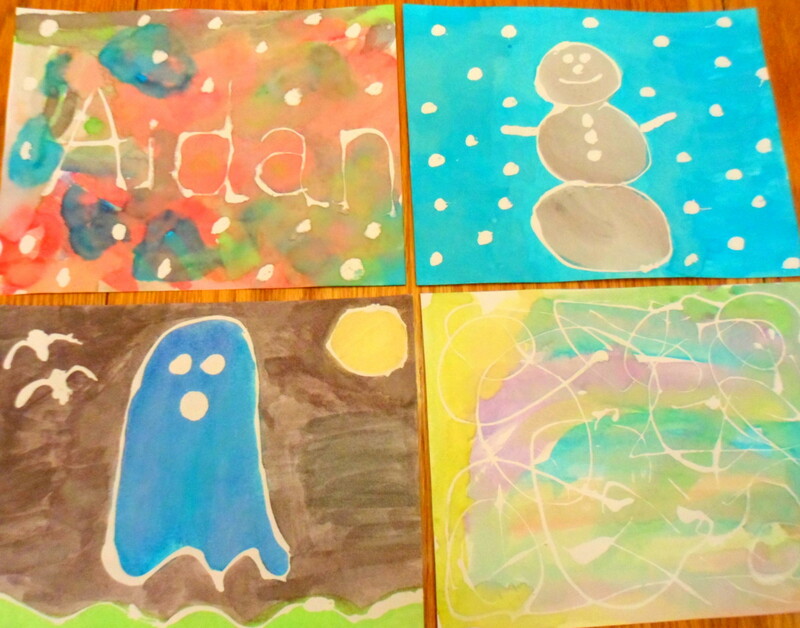 Each one had their name written out on a sheet of cardstock paper, a special holiday scene, and an abstract art design with random lines and shapes. Below you will find a list of supplies and step-by-step directions for making your own collection of rubber cement art. Lay out newspaper or other protective covering over your crafting area to protect it from any damage. Be sure the space is well ventilated in order to minimize inhaling the strong vapors of the rubber cement. I completed the designs outside while my kids were in school to avoid this problem. Using the applicator brush located inside of the rubber cement bottle, let the adhesive drip off of your brush onto the cardstock paper. 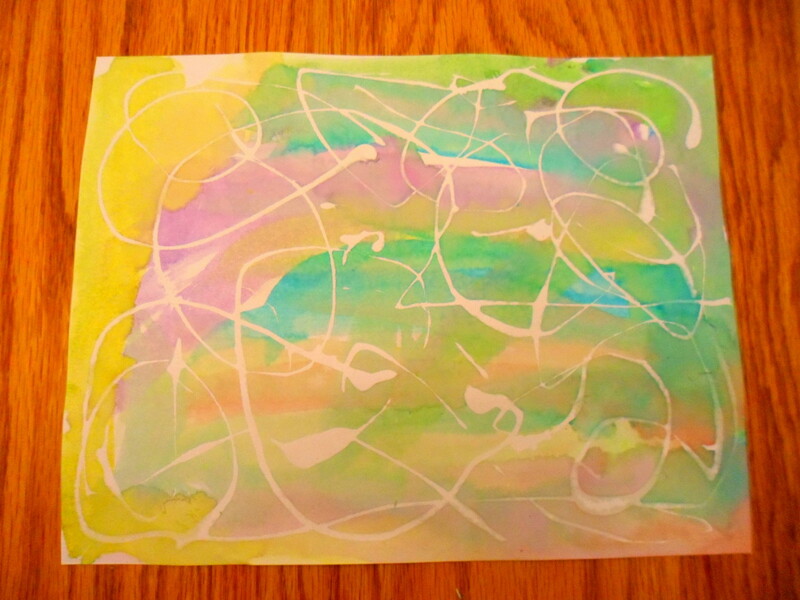 For an abstract piece of art, simply create random shapes and lines all over the paper. 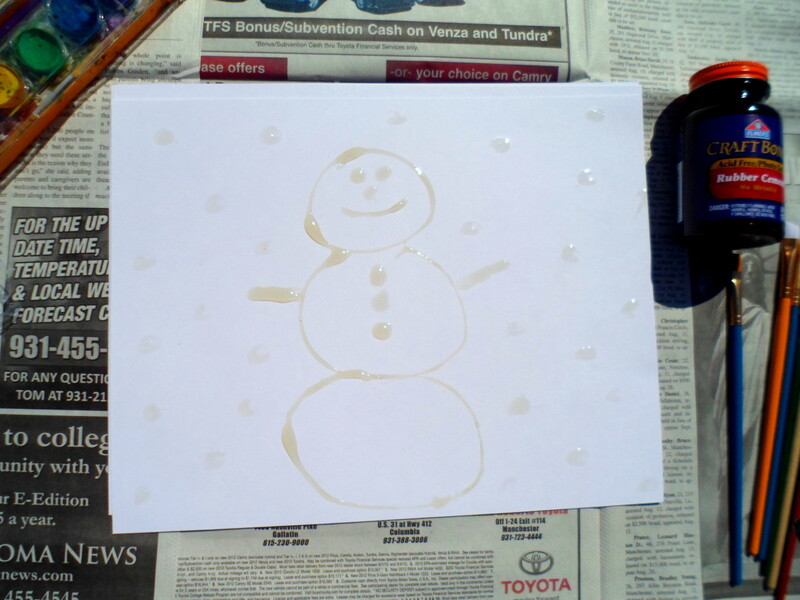 To make a special design, move your brush around the paper slowly letting the rubber cement drip off to create your picture. 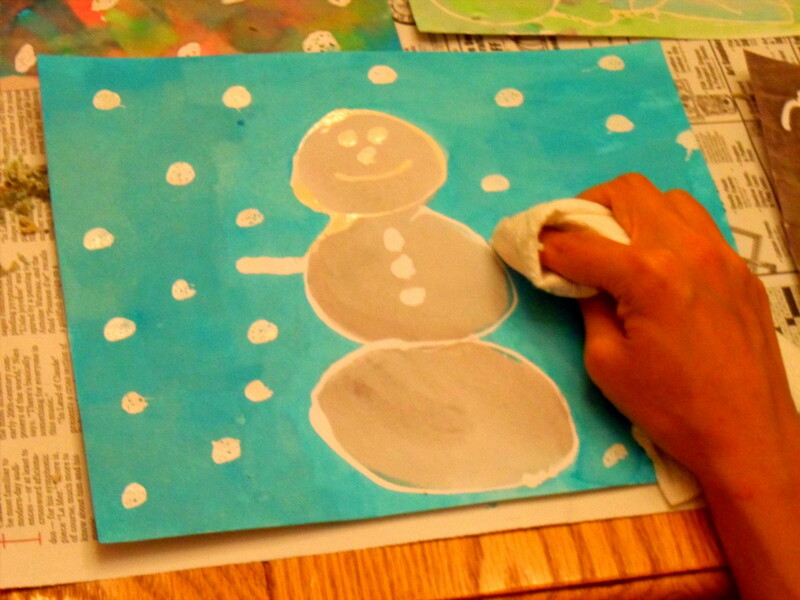 Set papers aside to allow time to completely dry before painting. 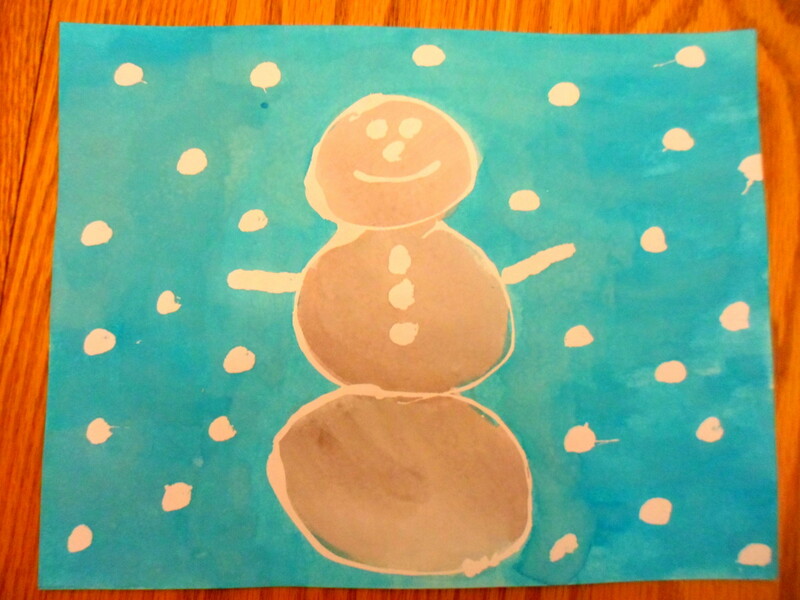 Once the rubber cement has dried, let your kids begin painting their pictures using watercolor paints. 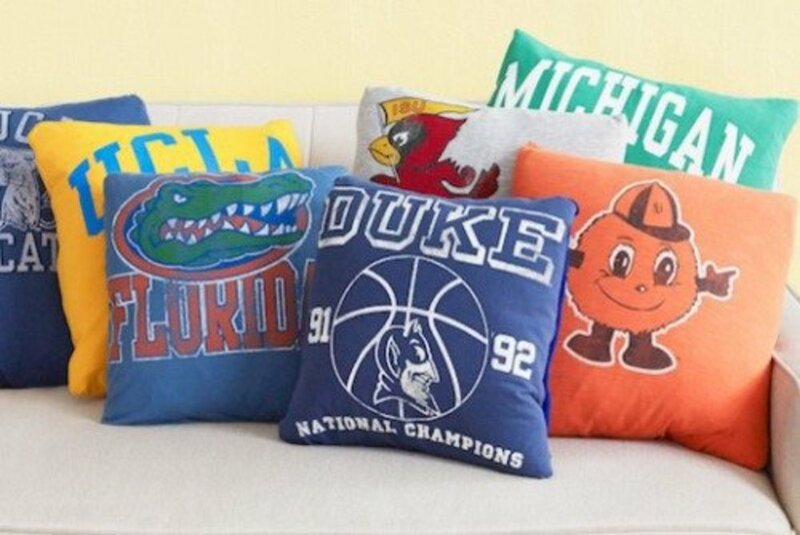 Be sure they cover the entire sheet with their desired colors of paint. After the masterpieces are finished, place the paintings in a safe place to dry. When the paint is dry, scrape off the rubber cement using your finger nails or wiping away with a paper towel. The thicker pieces of adhesive can easily be pulled off by using your nails while the thinner sections will need a little more work by firmly wiping it away with the paper towel. Once all the adhesive has been removed, your kids will be able to see the original rubber cement design. Frame your rubber cement works of art to hang on the wall or give to loved ones as homemade gifts. 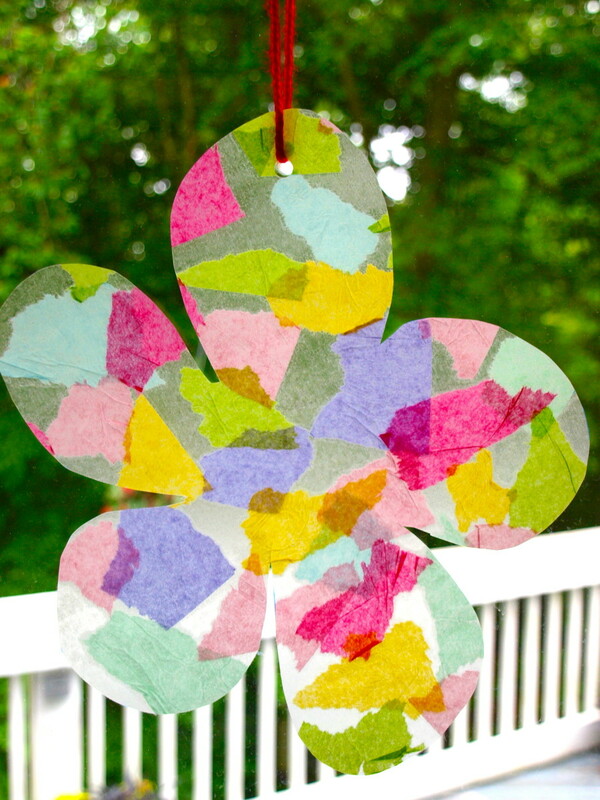 Create this type of art on folded sheets of cardstock paper to give out for birthday or holiday cards. 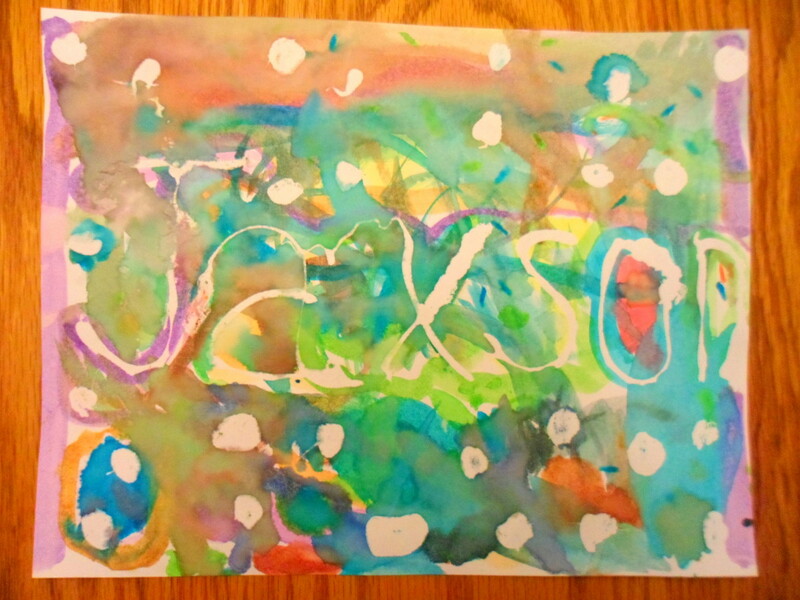 Add sheets of paper behind painting and punch holes on one side. Tie a ribbon through the holes to create a notebook or journal. Arrange photos on cardstock paper. Apply a thin layer of rubber cement over photos. When dry, place collage in picture frame. Drip rubber cement around hardboiled eggs. Dip eggs in colored dye. When dry, peel off adhesive to reveal white designs. Drip rubber cement around ornament. Paint in desired color. When dry, peel off adhesive to reveal white designs. 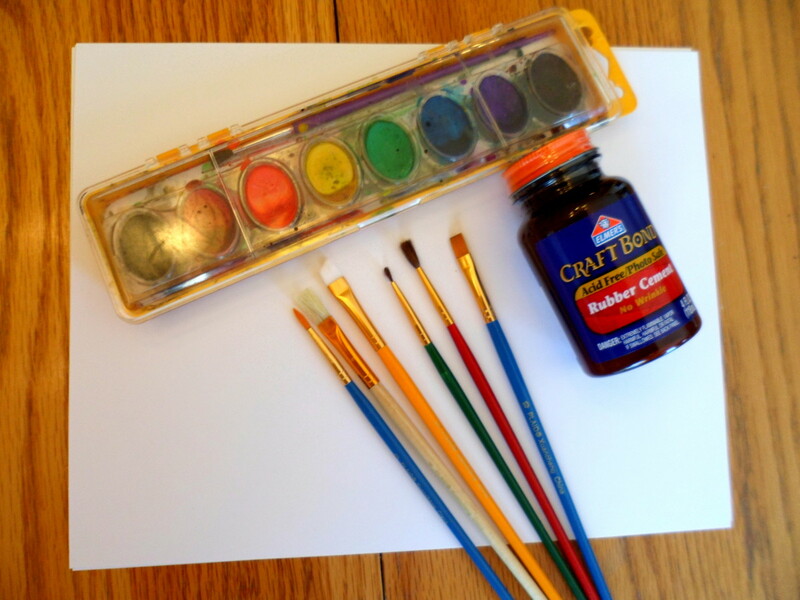 Have you ever used rubber cement in an art or craft project? Yes, I have used it in a project. No, but I plan on using it soon. No, not interested in using it. 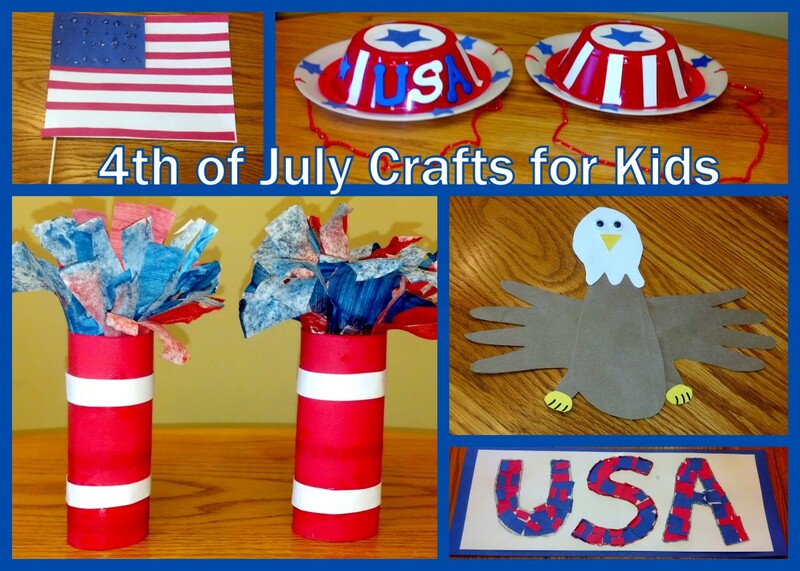 As you can see, rubber cement can be used to make a variety of fun craft projects for kids of all ages. Although this product is acid free and deemed safe for children to use under adult supervision, please remember the potential dangers when using this kind of adhesive around little ones. When the bottle of rubber cement is not in use, always make sure the lid is on tightly and stored in a secure place where curious little hands can't reach. 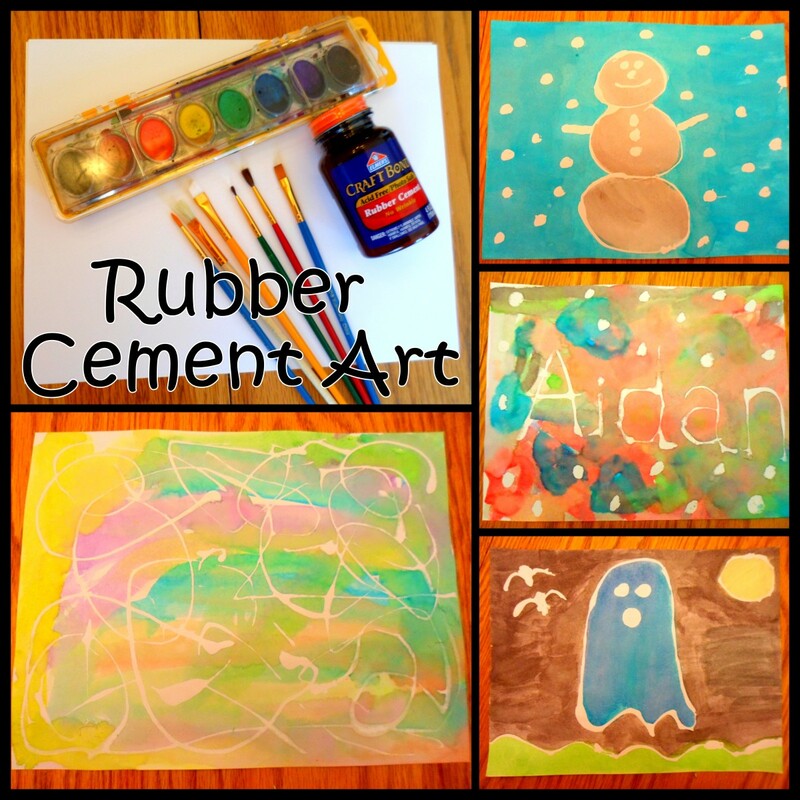 I hope you have found several fun art ideas for your kids to create using rubber cement. If you have any questions or comments about any of the above projects, feel free to leave these in the comment section below. Thanks so much RTalloni! My boys really enjoyed this art project. Appreciate you stopping by and for the pin! This would definitely be great fun for kids. 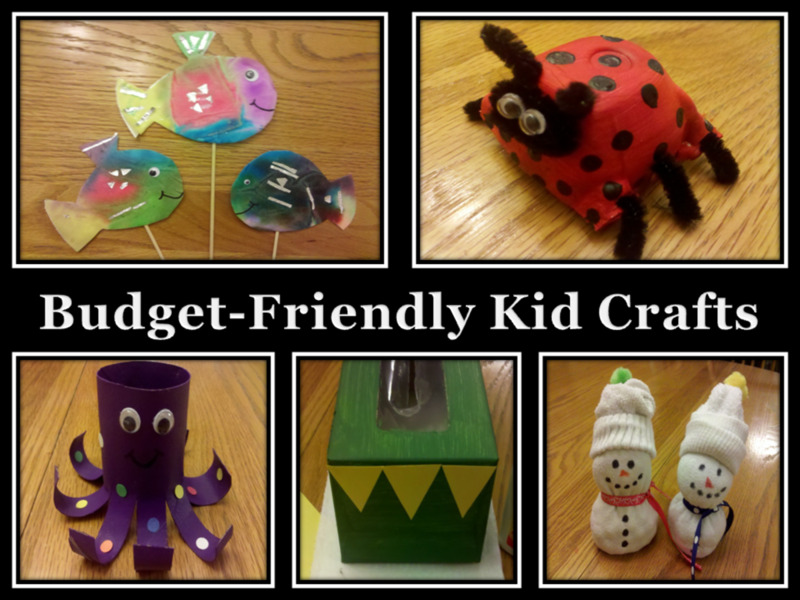 Love new ideas for helping them be more interested in create art. 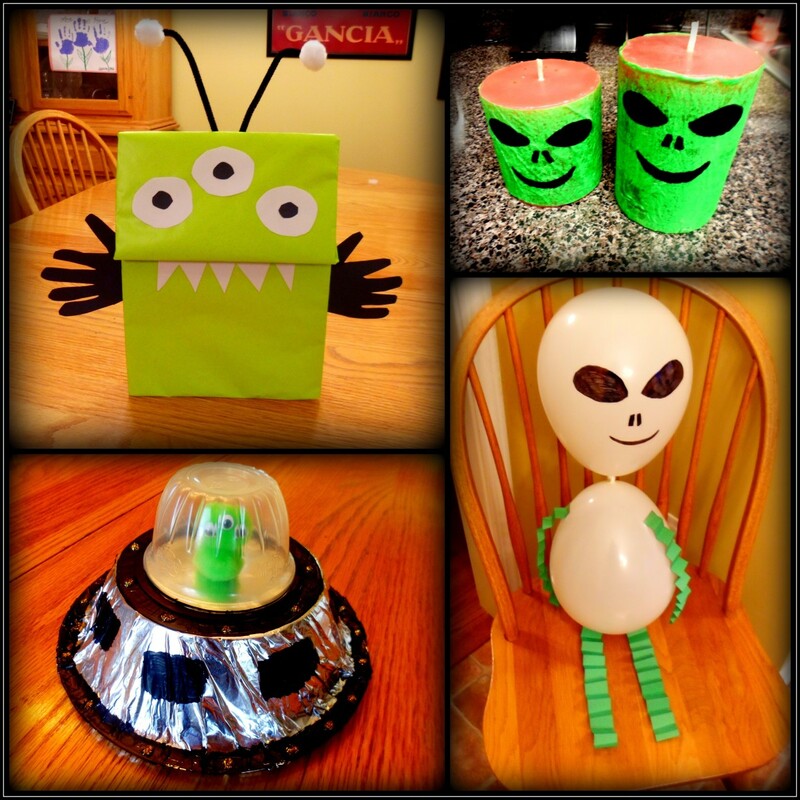 Pinning to my children's activities board. Thanks Mama Kim! The boys really enjoyed this project. I am hoping to do some more winter/Christmas inspired pieces of art with them and framing them for some extra Christmas decoration. Appreciate you stopping by and for the votes! Those are some wonderful pieces your sons created ^_^ Great use for rubber cement, voting up and useful! Thanks so much Rose! 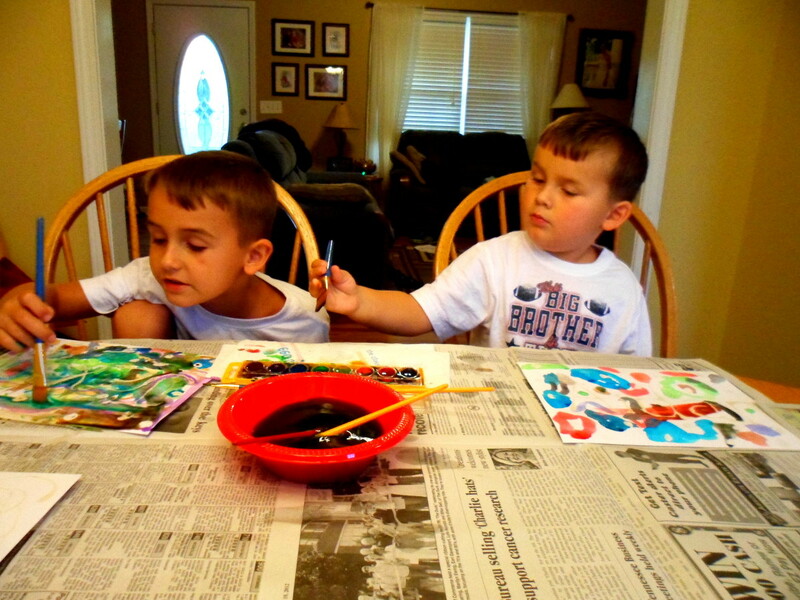 The boys had so much fun creating their art. I am hoping to redo my Christmas ornaments using the rubber cement as soon as I can get my husband to get the Christmas bins out. Appreciate you stopping by and commenting! Beautiful! I had never thought of using rubber cement like this before. What a great, inexpensive idea! Thanks so much Teresa! Appreciate the vote up and share! Great idea for a I class project for school age children as well. Voted up and shared.